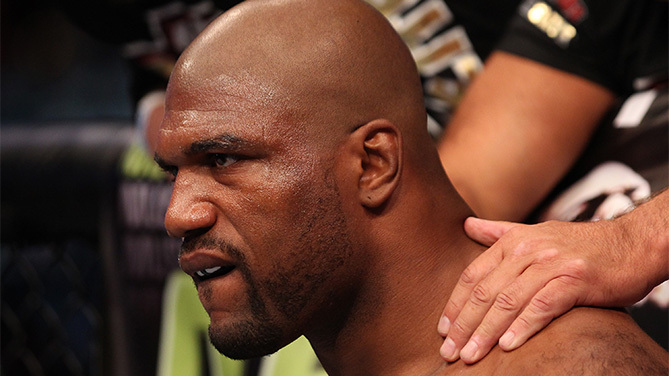 Don't miss the return of Rampage Jackson and the rest of UFC 186 this Saturday night live on Pay-Per-View. Quinton “Rampage” Jackson has been cleared to fight with the UFC, and will return Saturday to face Brazil’s Fabio Maldonado in the co-main event of UFC 186 at the Bell Centre in Montreal. A court injunction earlier this month blocking Jackson’s UFC return was lifted on Tuesday, paving the way for the former UFC light heavyweight champion to compete in Montreal. Jackson, 36, and Maldonado will fight at a catch weight of 215 pounds, the UFC announced Tuesday. The UFC 186 card now features Jackson vs. Maldonado as well as UFC Flyweight Champion Demetrious Johnson vs. Kyoji Horiguchi as the co-main events. "We are happy with the decision from the New Jersey Court allowing Rampage to fight in Montreal this Saturday night,” UFC President Dana White said. 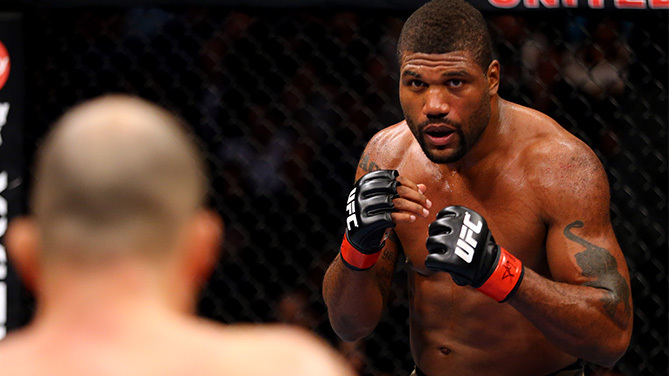 “I am looking forward to seeing Rampage back in the Octagon." Jackson (7-5 in the UFC) announced last December that he was re-signing with the UFC after a nearly two-year absence. A former PRIDE standout known for his knockout power and big slams, Jackson debuted in the UFC in 2007 with a second round knockout of Marvin Eastman. In his next bout in May of that year, Jackson stunned the world with the first round finish of Chuck Liddell that earned him the UFC light heavyweight championship. Jackson made one successful defense of his crown, defeating Dan Henderson at UFC 75 to become the first fighter in history to unify the UFC and PRIDE titles. At UFC 86 in July 2008, Jackson – who also coached two seasons of The Ultimate Fighter – lost the title in a Fight of the Year war with Forrest Griffin. The popularity of “Rampage” never waned among fans as he fought eight more times in the Octagon against Jon Jones, Rashad Evans, Lyoto Machida, Wanderlei Silva and Keith Jardine. Steve Bosse is no longer competing on the UFC 186 card. At 36, does Jackson have anything left in the tank? White was asked to describe Jackson’s enduring appeal to fans.